The handle has a powerful spring mechanism to ensure the handle always returns to 90 degrees avoiding handle sag!! These handles are TS007 2 STAR RATED! 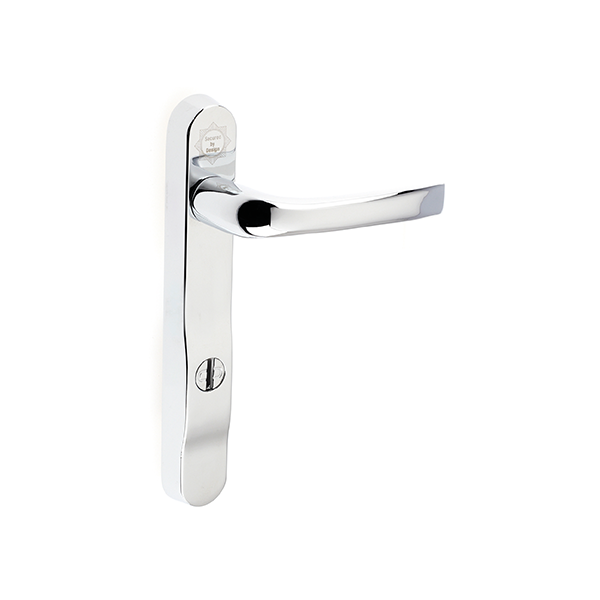 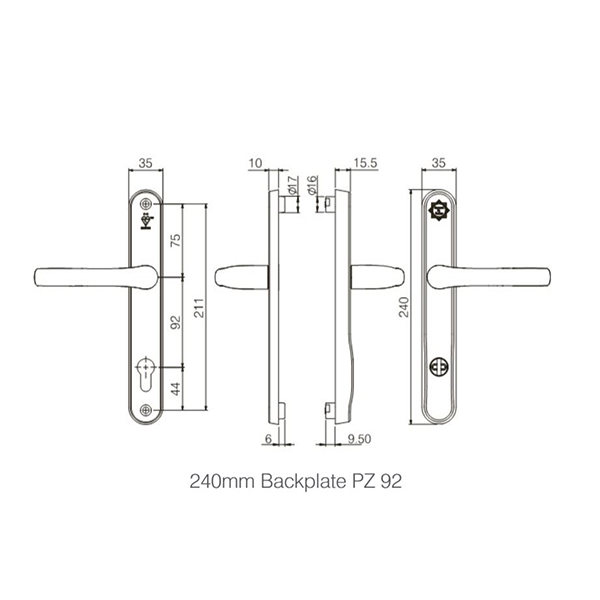 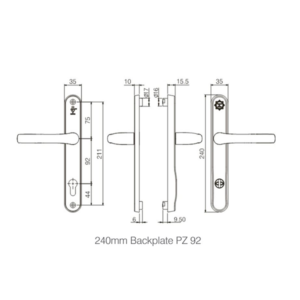 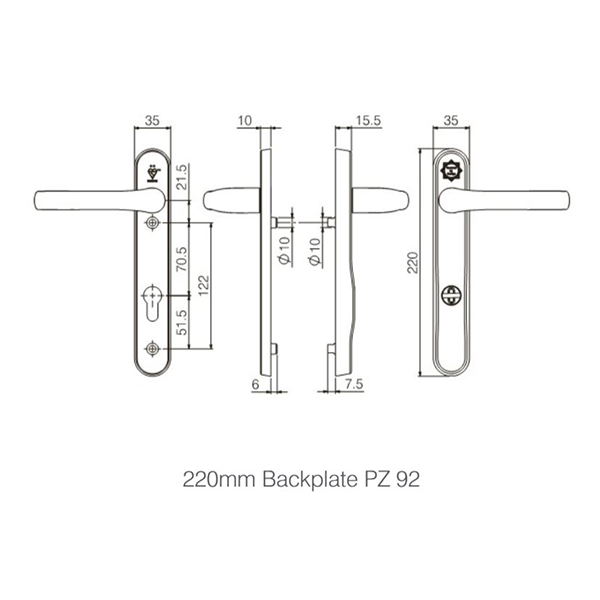 The Mila Prosecure door handle is awesome – absolutely top end quality ! This handle has no euro cylinder cut out on the exterior of the handle – the cylinder is hidden behind the handle and the key is inserted through the spinning disc.. 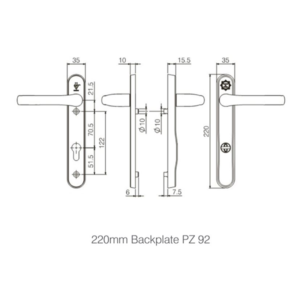 IT IS VITALLY IMPORTANT THAT YOUR CYLINDER IS THE CORRECT LENGTH AND NOT EXTRUDING MORE THAN 15MM FROM THE FACE OF THE DOOR EDGE.